Eddie Jones’ side England will face Michael Hooper leading Australian team in 2017 autumn international at Twickenham Stadium. This will be the second match of three rugby autumn internationals matches to be played by English Rugby team. England has beaten Australia four times through a flawless campaign in 2016, which ended in a 37-21 victory in the autumn international series. England and Australia have played a total of 48 Rugby matches since 1909. England has won the 22 of these matches while Australia has won 25 matches. One match has been drawn between two sides. England v Australia autumn international match tickets are not currently on the general scale. The Rugby tickets will be available to current members of England Rugby Club from 1st August. For the new members, the Rugby tickets will be available from 2nd August. For further details, you can visit RUF’s website. Eddie Jones has already cleared his intention towards autumn international matches as they are more focused on the preparations for 2019 Rugby World Cup. Jones is pleased with England squad depth after naming his 37-man squad for the pre-season training camp. Manu Tuilagi is also named in the Eddie Jones 37- man England squad for training camp. The Wallabies squad is selected from available Australian players who are playing elite level rugby all around the world. Michael Hooper is the Australian Rugby team captain; the Stephen Moore’s successor will lead-up Australian Rugby team to the Bledisloe Cup and Rugby Championship with Michael Cheika as the head coach of the team. Don’t miss the chance! 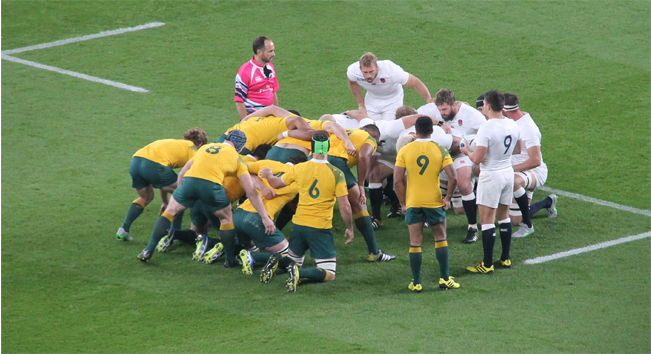 Buy Australia v England rugby tickets now; visit the official site of RFU to get more details.